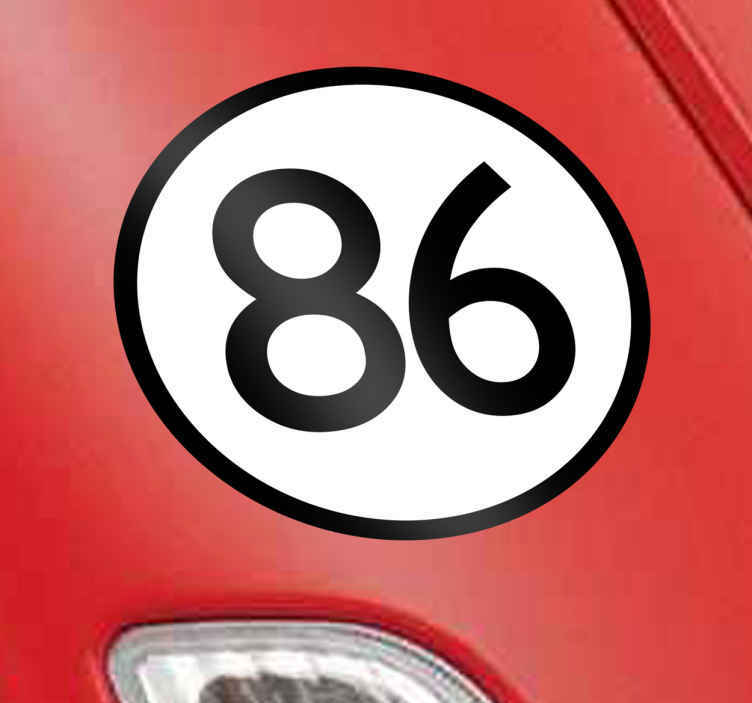 Vehicle Stickers - Personalise your vehicle with a number! Superb design from our collection of number wall stickers. Who says that only athletes and sports cars have numbers? Add one to your car with this sensational vinyl sticker. Choose a number, a size and place your order. Yes, it’s as simple as that. Reinvent your car with this stunning vinyl adhesive. Feel like a top athlete with this customized decal. This sticker is made of high-quality vinyl and does not lose its sheen with usage. It is easy to apply and leaves no air bubbles. Order now and live life king size. Remember to enter the number of your choice into the text box!